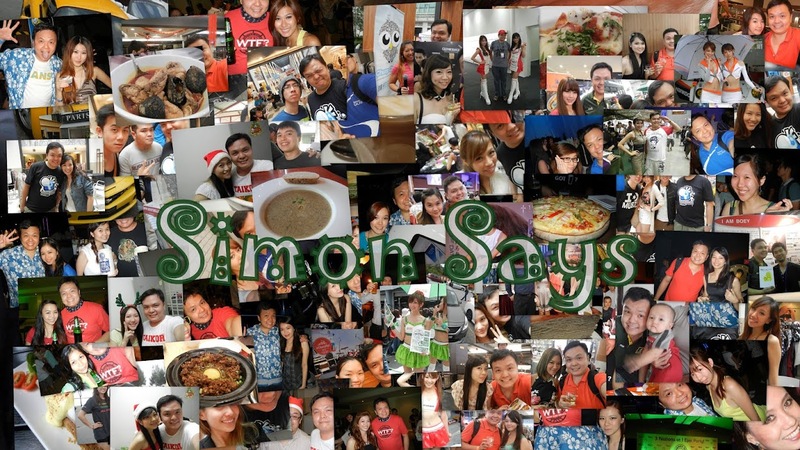 Simon Says: It's Been A Fabulous 4 Years! It's Been A Fabulous 4 Years! Never had I known that blogging will this much fun and got me good things in terms of monetary value and non-monetary value. I've started blogging in this space "Simon Says" actively on 27th Dec 2007. It has just past four years for this humble blog of mine. This year started off good with me chosen to be one of the Maxis10 Reviewers Programme to review Nokia E7 back in March. The best part is I get to keep the phone and I've been using it ever since. During the year, I met a lot more bloggers bringing up my Facebook friends to 1186 and my Twitter followers to 627. I also started Facebook Page for this blog, since many bloggers already started one =P Now go like my page. I've also been invited to loads of parties and events, especially beer events. Of course there are some food review in between. I of course shifted to work in Cyber Jaya early of this year and then shifted back to work in Damansara Heights in a new company end of this year. Wow, talk about change. During these 4 years of blogging, I went to Nuffnang Asia Pacific Blog Awards 2009 and 2011 (I haven't blog about it yet "-_-). Both were great success and it meant a lot to the bloggers. Thank you Nuffnang. As of the norm, on every blog anniversary I'll change my blog header and background colour. I'm not good in designing so I don't restructure my whole layout. This is the previous blog header. For 2008 and 2009 I only use text as the header so there's no previous header for both years. And this is my current blog header. It's been a fabulous 4 years. Thank you for your support. Happy Birthday! Simon Says.